Create the ultimate look to your kitchen or bathroom with an impressive Glass splashback. Made to measure glass splashbacks are available in almost any colour of your choice and can raise the finished look and feel of any kitchen or bathroom. So whether your kitchen is a brand new installation or your bathroom is just having a face lift, perhaps it’s time you chose a glass splashback. Stunning glass splashbacks are a hygenic low maintenance alternative to a tiled space in a kitchen, bathroom or any aspect of a home. 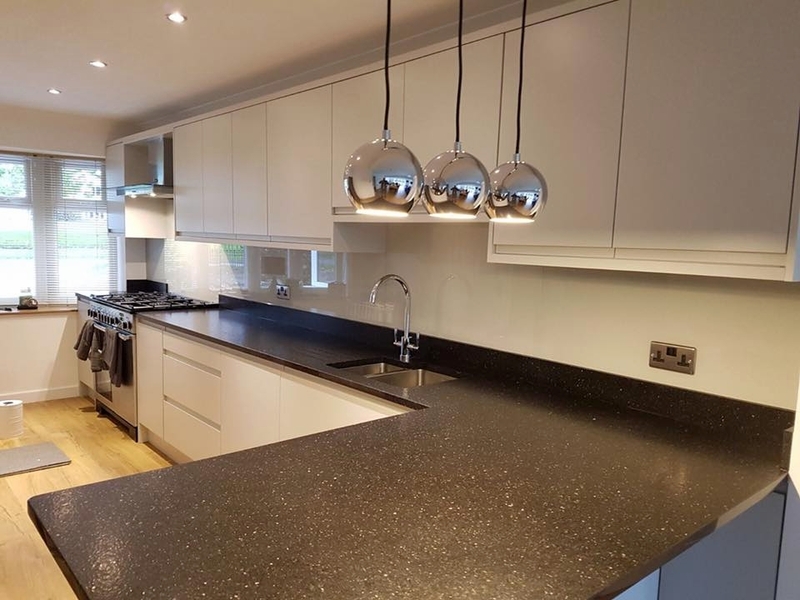 A Glass splashback can be templated to fit the area you require it too, with all the cut outs for sockets, switches, taps, shower heads or anything else you can think of. Conforming to the current required safety standards what a wonderful addition to any home.